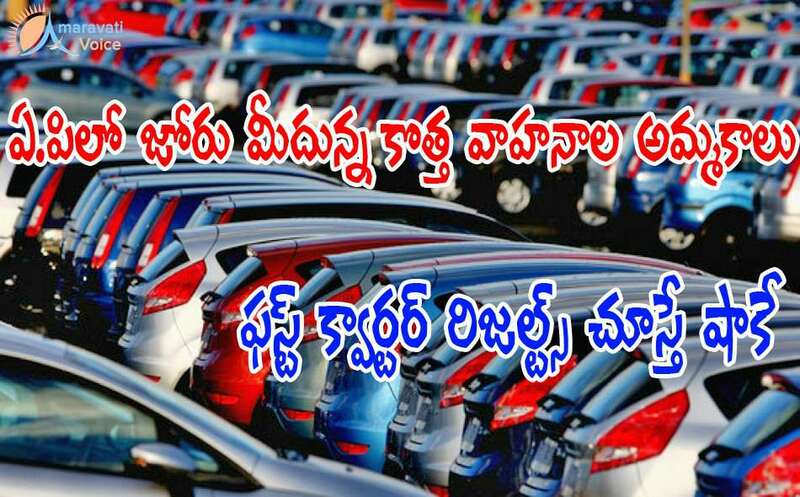 The registrations of vehicles in Andhra Pradesh, in the first quarter has soared and raised the eyebrows. This increase is seen in all the Regional Transport Offices (RTOs) all over Andhra Pradesh. Around 3.1 lakh new vehicles were registered in Andhra Pradesh in the first quarter, for the year 2016-17. This is around 15 per cent increase, when compared to the first quarter of 2015- 16. Of this around 2.6 lakh two-wheelers where sold in the first quarter, which is a growth of 13.82 per cent when compared to last fiscal year, at the same time. Around 18,854 Four-wheelers are purchased, compared to last fiscal year, at the same period. People have purchased 14,393 goods carrying vehicles, 2,779 passenger vehicles and 15,548 auto-rickshaws in the last four months of 2016-17. Sources say that, Transport department has got revenue of Rs 900 crore in the first quarter through vehicle registrations, taxes and other forms. Officials are saying that purchase of two-wheelers and luxury and high-end four wheelers have been increasing mostly in Krishna, Vizag and few other districts in the state.